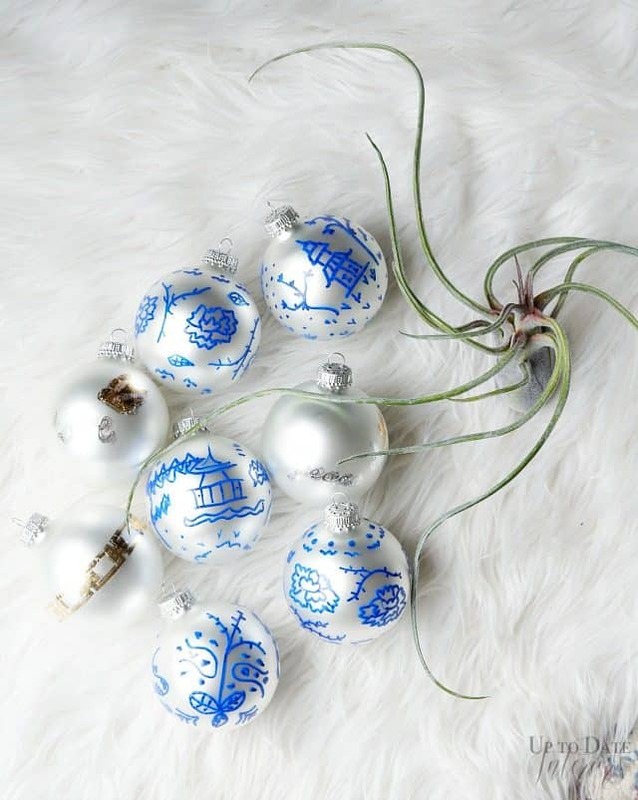 Add eclectic flare to your Christmas decor this year with easy DIY chinoiserie ornaments and other globally influenced Christmas DIYs and decorating tips. Hi there! This is the last Christmas post for the season. I’m exciting be taking the rest of the month off to spend time with my family and friends. We are meeting up with friends in Osaka and touring Kyoto, Nara, and Kobe! But first, here’s the DIY chinoiserie ornaments I promised when I posted our handmade, global-eclectic Christmas tree. I think these would make a lovely gift and they add a great pop of color. 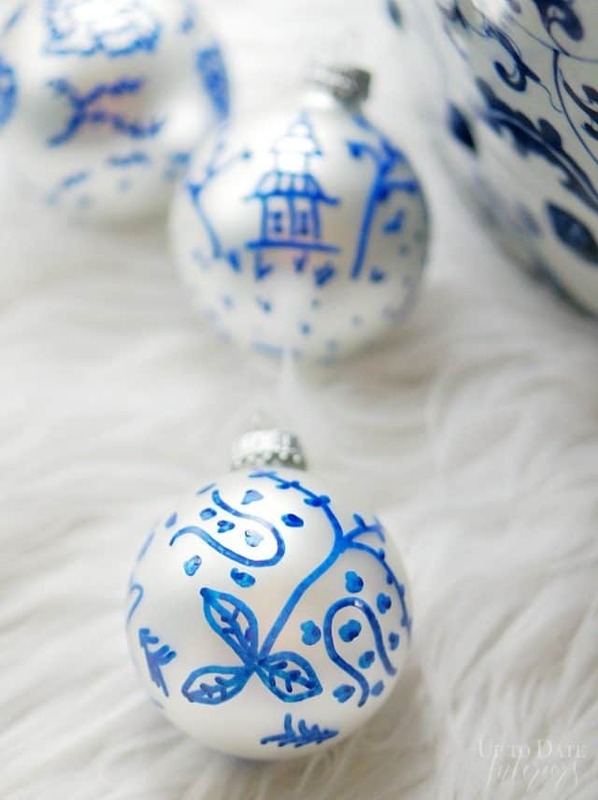 Here’s what you need to create Chinoiserie ornaments. You can search for Chinoiserie patterns easily on Pinterest and google or use pieces you already own for inspiration. I enjoyed looking at some of our travel souvenirs and my garden seat for pattern ideas. I created 3 pairs of similar patterns. One has temples with bonsai and sakura, one includes lotus and branches, and one with greenery and patterns. Do a small part at a time and the let the ink dry before you do more. Be careful that your fingers don’t smudge the paint marker. It dries fairly quick! With my extra ornaments, I applied some boho tattoos in gold and silver. You might have already seen these on my Christmas tree! I love how they bring in a pop of blue that ties into the rest of our holiday living room. 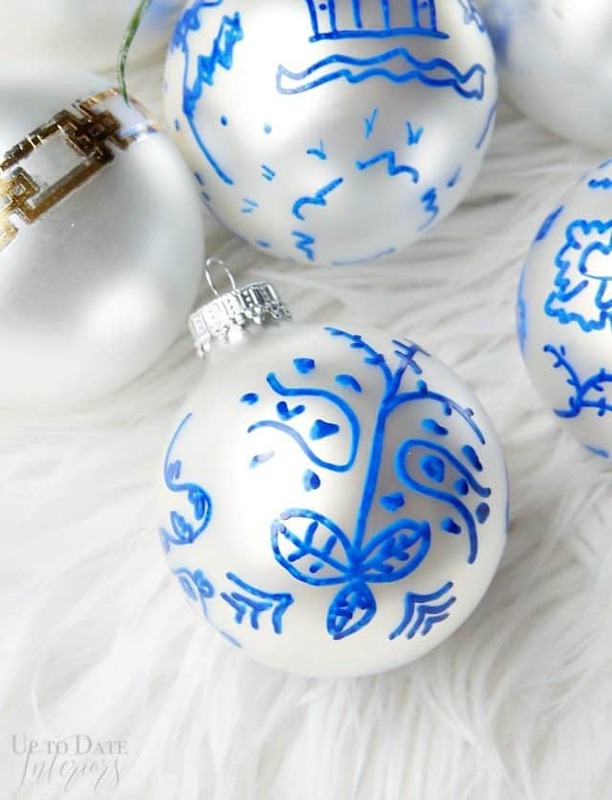 Do you enjoy making ornaments and DIY gifts for the holidays? You can find more ideas Christmas ornaments and decorating ideas HERE. Wishing you the happiest of holidays! Until next year my friend, Merry Christmas.